Habitat Workspace is a new luxury co-working studio for passionate and creative small businesses and freelancers. It offers unmatched facilities, self-contained offices and a inspiring community. With 34 micro offices, as well as open plan desks; expect luxe meeting rooms, kitchen facilities, green outdoor meeting spaces, a central reception area, and free access to shared pool and change rooms to make work life balance even easier. Aside from being 5-minutes from the beach, our workspace comes with access to Habitat's lap pool, private car and bicycle parking, edible gardens and corporate-speed internet worthy of a Silicon Valley entrepreneur. 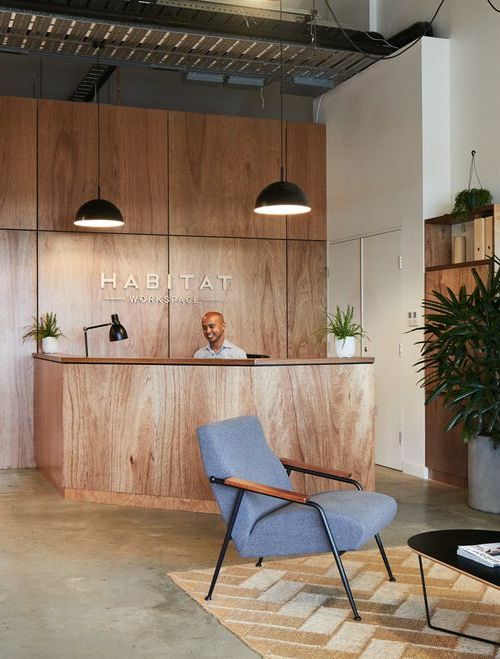 With window lounges, hanging chairs and plenty of outdoor space to work or relax in, Habitat’s light-filled workspace is designed to be communal — but your office doesn't have to be. Complete with personal storage and your own desk, simply, lock and leave. Nestled in our bustling and expanding creative community, Habitat Workspace positions you among the action, surrounded by all the right people.